Given the recent change in administration in New York City, this chapter examines Mayor De Blasio's position on the charter school debate. Because charter schools are housed in public facilities, this issue reflects both political and market matters. This chapter will reveal the economic and social equity issues affecting the co-locations of charter and traditional schools. As public administrators, the New York City Department of Education and Mayor de Blasio are responsible for providing students with the opportunity for sound basic education under the New York State Constitution- both traditional and chartered. Examining the impact of the relationships between government and private stakeholders will draw attention on how two school systems co-exist with distinct governance: one publicly funded and governed and the other publicly funded and privately governed. The charter school reform has gained successful attention from the political and market arenas in New York City more than any other educational reform. There are several historical interpretations of the history and political involvement of the charter school reform (Lake and Hill, 2002, and Hassel, 1999). 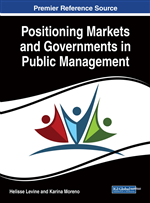 However, the impact and implications of the political and market involvements have not been studied as much. Charter schools are at the heart of the debate around accountability because they are one of the least understood phenomenons in American education (Hill, Lake, O’Toole & Celio, 2002). In New York City, there are currently 197 out of 209 in New York State (New York City Department of Education). Charter enrollment has doubled three times since 2000. …the public school has to surrender “empty” rooms that were previously used for art, music, resource rooms for special education, and any other space that is not considered a classroom. The regular public schools–attended by 94% of all public school children, must be overcrowded to make room for the charters. Because the charters are heavily subsidized by private funding, they typically renovate the space (not good enough for them), and their students have the latest and best of everything. These, among other oversights, have been challenges now faced by new mayor, Bill de Blasio’s and his position on charter schools. Prior to becoming the mayor, de Blasio’s position on co-location was contradictory to former Mayor Bloomberg. Bloomberg, believed that closing or scaling down large schools and increasing the number of small schools will help increase student performance. His tactic was to create a number of small schools; which were co-located within large school buildings. de Blasio’s examination of the co-location’s impact was careless and based on unreliable information about building utilization, that the city had not sufficiently engaged affected communities in its decision-making process for co-location, and that co-location has created inequitable and substandard learning environments for affected students (see, e.g., De Blasio & the Alliance for Quality Education, 2010; New York Coalition for Educational Justice, 2010; Solomon, 2013). These privately run and government-funded schools have gained so much privatized attention and resources attention and yet, are sharing overcrowded school facilities with traditional schools. Exploring the affects co-location has had on New York City students leads to question Mayor de Blasio’s next steps in improving our educational system.